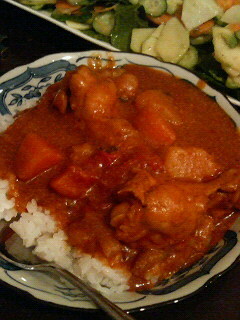 This entry was posted on April 8, 2007 at 5:25 am and is filed under *Yoko, Curry, grocery shopping, Japanese, recipe. You can follow any responses to this entry through the RSS 2.0 feed. You can leave a response, or trackback from your own site. milk! can of tomatoes! garlic! GENIUS! am trying it prontissimo! 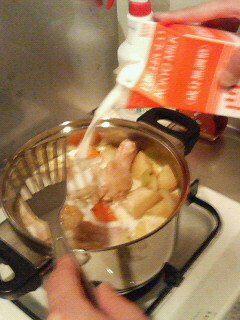 うわ～超うまそ-！Ditto on K re: tomato & milk!!!! Def gonna try.